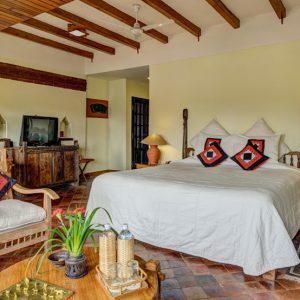 This cultural extension takes you to the Kathmandu Valley, where you begin with a journey to the outskirts of the city for two nights at a beautiful nature lodge. 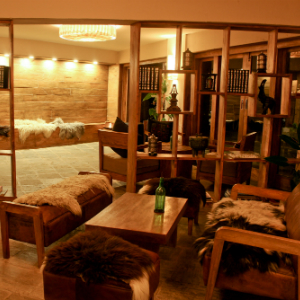 Here, you have a few options to relax and explore the serene surroundings. Next, explore the iconic architectural and artistic achievements for which the region is famous. With a local guide, you’ll learn about the significance of each historic site, and gain a deeper understanding of this unique destination, where Buddhism, Hinduism, and traditional beliefs have coexisted peacefully for centuries. 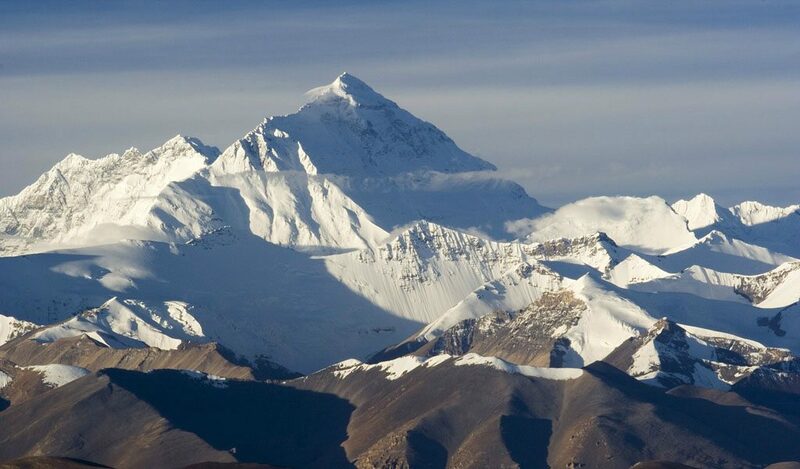 For those wishing to conclude their journey with a flight over Mount Everest, this can be arranged (at an additional cost) and is a perfect way to complete your journey to the world’s highest mountains. Enjoy two days at a beautiful retreat outside the city, with options to hike, relax, and visit a local village. Welcome to Nepal! 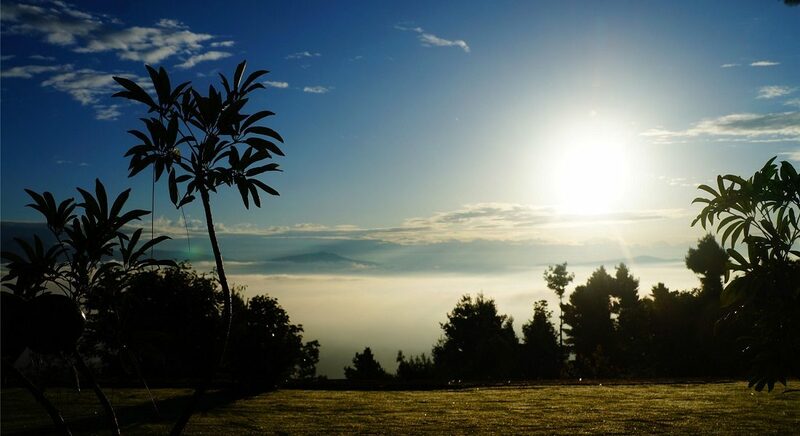 Upon arriving in Kathmandu, you are transferred one hour outside the city to Haatiban Resort, situated on a pine forest ridge with sweeping views of the Kathmandu Valley below. This evening is yours to relax, enjoy the amenities of your hotel, and dine at your leisure. Located on a pine-forested ridge and seemingly far removed from the hustle and bustle of the city, Haatiban offers the peace and serenity of nature. The resort offers beautiful views of the valley below and the snow-capped Himalayan Mountains in the distance. Today you may enjoy a full day taking in the natural surroundings at Haatiban Resort, and choose from a selection of onsite activities. Those who wish to be active may opt for a walk to the nearby Pharping monastery or Champa Devi, a pilgrimmage site with a Hindu shrine and Buddhist Stupa. Another option is to ride a cable car up to Chandragiri Hill, from where sweeping vistas offer panoramic views of the Kathmandu Valley. Leaving here, it is possible to hike back to the resort. For those looking to learn about local life, you may request a visit to Khokana, a tiny Newari village that has retained its tradition and culture. And of course, if you wish to simply soak in the scenery, relax in the sauna, and enjoy the tranquil grounds, you may do so. Yoga sessions and massages are also available onsite, but must be scheduled in advance. Today after breakfast you set off on a cultural exploration of important religious sites in and around Kathmandu. You begin at the Boudhnath Stupa, often referred to as the "Great Stupa" because it is the largest Buddhist stupa in Nepal. Continuing on, the next visit is the Pashupatinath Temple, one of the most sacred Hindu temple complexes in Nepal. Located on both banks of the Bagmati River on the eastern outskirts of Kathmandu, Pashupatinath is the most important Nepalese temple complex dedicated to the Hindu god Shiva. Your final stop today is the UNESCO World Heritage Site of Bhaktapur — one of the most well-preserved medieval cities in the region — known for its rich arts, culture, and towering temples. Many local artisans live and practice their trades here. This evening is yours to relax, enjoy the amenities of your hotel, and dine at your leisure — perhaps indulging in a multicourse Nepali dinner at the onsite Krishnarpan restaurant. Dwarikas is a five-star heritage hotel, espousing Newari-style architecture and Nepalese charm and hospitality. It is well-located near the famous Pashupatinath and Boudanath Temples, as well as the international airport. Unwind over live music at the fusion bar or dine at the famous Krishnapan restaurant, featuring the best in contemporary Nepali cuisine. Choose to relax at the swimming pool or treat yourself to a traditional ayurvedic treatment at the Pancha Kosha Himalayan spa. After an early breakfast, there is an opportunity to experience one of the most spectacular mountain flights in the world. 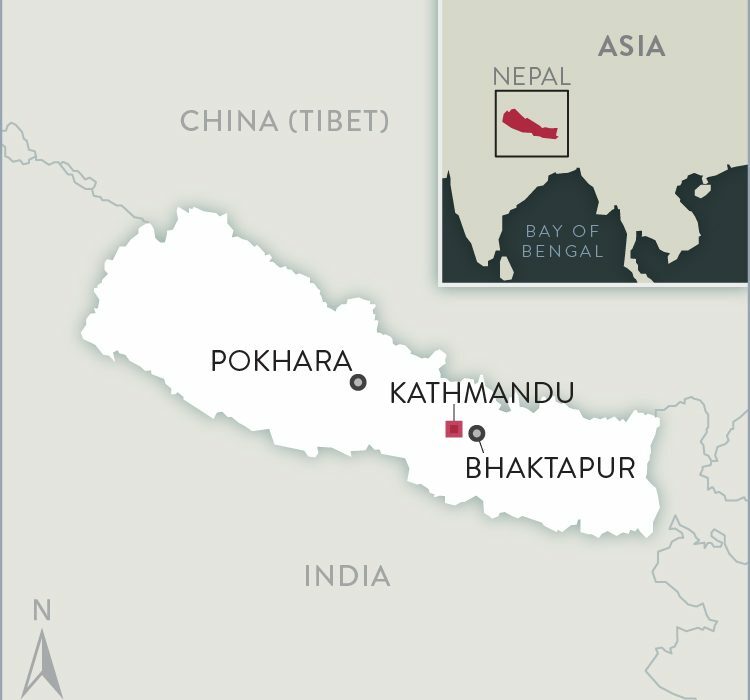 An optional flight (not included in cost) departs Kathmandu and flies east along the Himalayas, giving eye-level views of the highest peaks on earth, including Mount Everest. Later, you will be transferred to the international airport in time for your depature. Boundless Journeys' trips are designed for energetic and flexible individuals who like to be active and have a spirit of adventure and a positive attitude. 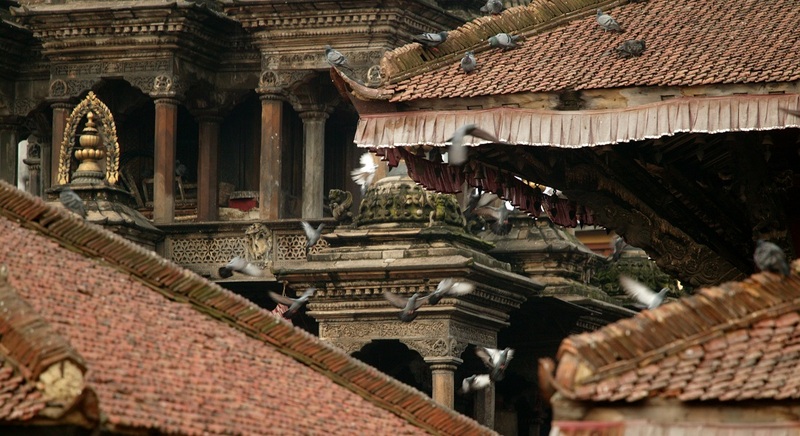 Kathmandu Sights & Nature Retreat is rated 1+, easy, on a scale of 1-5 (with 5 being the most strenuous). The walks on this trip are day walks with some vehicle support. Much of the walking on this tour will be on flat terrain, while sightseeing, 4-6 hours per day, broken up by rest and meals. You will be met at the airport upon arrival. You will be transferred to the airport in time for your departure. Temperatures in Nepal tend to be quite cool in the mornings and evenings, but heat-up at midday due to strong direct sunlight at high altitudes. These mountainous areas have pronounced rainy and dry seasons. The dry season lasts from October through May. Again, days tend to be warm with nighttime temperatures dropping significantly. Any time of year, dressing in layers is a good strategy, so that you can shed or add layers as the day heats and cools. The driest weather and clearest skies are typically in October and November during the harvest season. During March through May, beautiful flowers are in bloom and it is the planting and ploughing time of year. The months of December through February are clear and cool (and can be below freezing at night); it is the shoulder season, so you will encounter fewer visitors. June through August is the monsoon season and it is generally not recommended to travel to Nepal at this time of year. The flight lasts approximately one hour, and the cost is $250 per person. The mountain flight may be scheduled on the morning of the last day before your departing international flight, if time allows. International departure flights should be scheduled no earlier than 2:00 p.m. to allow enough time for the mountain flight. Alternatively, this flight can be arranged on post-tour days if you are spending extra time in Kathmandu. Please note: You may have the opportunity to see some of these mountains on your flight to Nepal; however, it will be from a much greater distance. Nepalese cuisine is not well-known in the rest of the world. While the food in Nepal is plentiful, healthy, and flavorful, it is not the reason anyone should plan a trip to this country. Kathmandu has a surprising variety of restaurants serving many types of international cuisine. Remember that Nepal is a relaxed culture and service is usually much slower than Westerners are used to. Outside of the cities, the food is primarily a combination of Nepalese (which has a large Indian influence) and Tibetan. Rice, lentils, and vegetables are staples, with a variety of meats, which are used somewhat sparingly. Tasty soups, fried breads, and steamed dumplings filled with meat or vegetables are among the local favorites. The national drink is sweet tea brewed with milk. The local beer is quite good, though it's not always served ice cold. Please call our office with any questions or concerns about our ability to meet your needs.